On Groom’s Hill, Greenwich, there resides a friend of mine, Mr. H—–d, a gentleman of great respectability, of varied attainments and of considerable mental ability, a student of literature, religion, and science. His position is that of an underwriter at Lloyd’s, and in the society of his wife and children he enjoys a wholesome domestic life. Among those persons engaged in this comfortable household in the year 1866, was a young widow named Mrs. Potter, whose services were occasionally required for various periods as a needlewoman and general assistant. She had one son named Tom, a bright, handsome, delightful boy: he could sing and play; he was clever and accomplished; he excelled in any study to which he gave his attention, and though he was wayward and restless, he was the favourite of everyone who knew him. 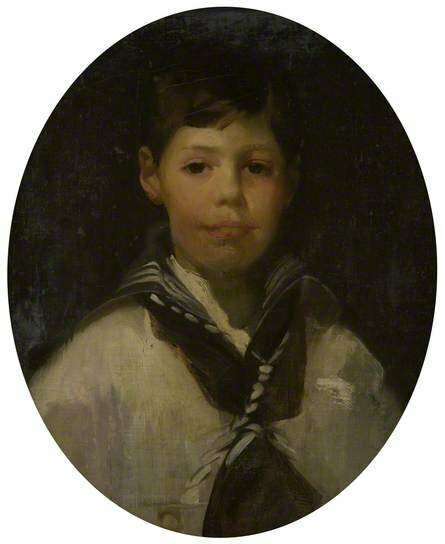 This brave and troublesome boy was provided with a home and educated at the neighbouring Roman Catholic orphanage, under the direction and mastership of an able and enlightened priest, Dr. T—-d.
Tom Potter, the restless and impetuous scholar, caused many an anxious thought to his mother and her friends, and at last they raised a general chorus of “What shall we do with Tom Potter?” About the year 1863-4, when he was probably 14 years of age, he was placed in a first-rate house in Manchester, but his vocation was evidently not in dry goods; he would not settle down to a mercantile life—he determined to go to sea; and at last his friends most reluctantly consented that his whim should be gratified, as they could make nothing of him on shore. He was placed on board a training-ship at Woolwich, and in due time drafted on board one of Her Majesty’s ships of war. After a voyage or two, Tom got tired of the navy and rebelled. In company with some other naughty boys he deserted the ship, and after some disastrous adventures, he returned in a piteous light—weary, famished, and half naked—to his Greenwich ome. The tables were soon turned upon the young and interesting truant; he became very ill, and a warrant was issued for his apprehension. His mother and her patrons immediately raised a despairing cry, and asked, with more emphasis than ever, “What shall we do with Tom Potter?” Dr. T. again intervened with his kind offices and intercession. The captain of the ship consented to receive back again, with only a nominal punishment, the irresistible and pardoned culprit; and at last Tom was fairly shipped off on board the Doris frigate bound to the West Indies. Tom’s mother having thus provided for her son, left the H—-d family altogether; got married again, and became Mrs. Cooper. After a time a new servant, who had never heard of either Mrs. Potter or Mrs. Cooper, arrived, and filled the office of housemaid. This new servant we will call Mary; and so ends the first chapter of my tale. The mystery became more mysterious; but the only decision the conclave could wisely make was to await the issue of events; in the meantime they could do nothing but patiently exercise their faculty of wonder. A solution of the mystery was at hand. In the next month of October, Dr. T. received a letter from the Admiralty, stating that they communicated with him because they did not know the address of Tom Potter’s mother. The letter gave the sad intelligence that on the 6th September, just two days before he was seen at the door of Mr. H.’s house, Tom Potter breathed his last, in consequence of a dreadful accident on board the Doris frigate at Jamaica. He fell from the mast-head on the 24th July, 1866, and was frightfully injured. He lingered a few weeks and died raving, and calling for his mother. It was at Mr. H.’s door that the ill-fated boy parted from his mother, and there saw her for the last time in life. This circumstance may account for the spirit of the boy having been mysteriously attracted to the spot where he left his mother, of whose departure he was not aware. Disembodied spirits only know what comes within the compass of their experience and capacity. Their intelligence and information are sometimes very limited. The facts of this story are certain and indisputable. I have taken great pains to verify them.